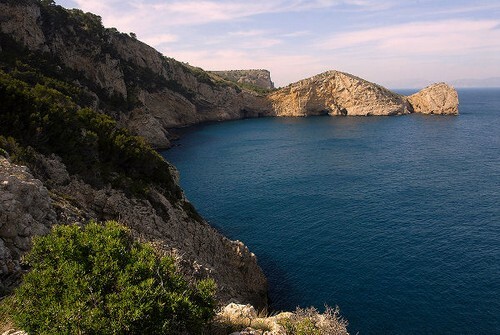 The first Marine Reserve was created in the Costa Brava in 1983 on the Medes Islands, located 5 miles northeast of Ses Negres. 10 years later Ses Negres was created, which covers an area of 80 ha and that has several aspects of interest. It is an area which also has strong cliffs reaching even 23.5 meters. Oriented NNE it is exposed to winds from the north (Tramuntana) and east, whose strength, added by that of the water and strong waves, have been shaping the curious rock morphology we find nowadays. In Ses Negres you can not fish, and you cannot sail near the shores with any kind of boat motor. The area is marked out and watched from the shore, and on several occasions their offenders have been reported. The transfer zone away from the edge is limited by a marked channel and speed is limited. However, it is possible to snorkel in this piece of coast, since this is a friendly environment activity. You can even sail along the entire shore by kayak, with no limitations (but no fish!). 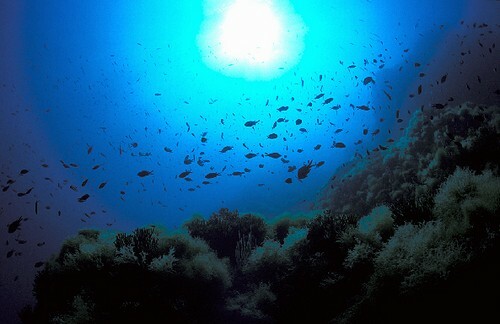 Ses Negres underwater, after almost 20 years of protection has today a significant ecological recovery. Thus, we find forests of sea grass and coral. Another important part of the ecosystem of Ses Negres is the mouth of the Ter river, about 3.5 kms north. During the rainy season in spring and autumn, the materials dragged by the river to its mouth are carried by ocean streams south to Ses Negres. These organic material contribute to the development of native species. Ses Negres area can be visited on foot from various points. From the Sa Riera creek, to the right, facing the sea, begins a coastal path that runs along a part of this magnificent coast. 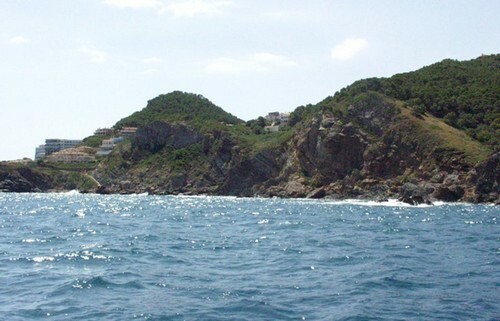 Another well-known access point is Sa Nau Perduda, a small urbanisation located near Cala Aiguafreda. 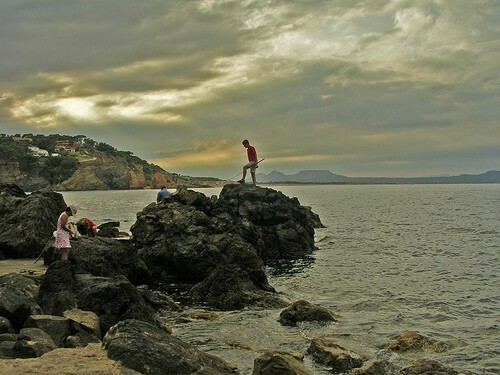 Coastal zone near Ses Negres. Fishing in Ses Negres restricted zone is not allowed, even not fishing rod.